Technical advancements in computed tomography have provided the basis for safe, rapid, noninvasive detection of coronary artery disease with high diagnostic accuracy. 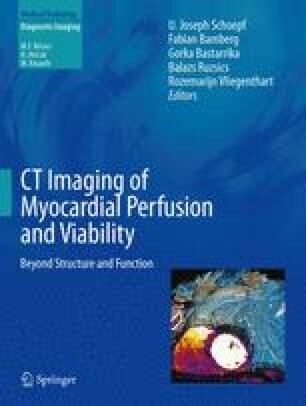 While there are well-established limitations in the pure anatomic assessment of coronary atherosclerosis, there is a growing body of data demonstrating that coronary computed tomography angiography provides valuable prognostic information and may have outcome and cost benefits over traditional diagnostic testing in selected clinical scenarios. Appropriate utilization necessitates proper technique and patient selection. The exact clinical role of computed tomography-based anatomic assessment of coronary artery disease is still evolving, and emerging techniques are encouraging for improved performance and expanded applications in the future.